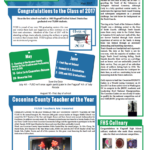 The Coconino County Superintendent of Schools is seeking candidates to run for various district governing board seats that will be up for election in November. The Grand Canyon Unified School District will have three seats up for election this year, the Maine Consolidated District will have four seats up for election (including one that is currently vacant), and the Williams Unified School District has three seats up for election. 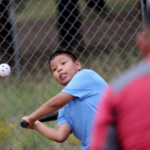 Representatives from the Arizona Diamondbacks led baseball-related activities at Kinsey Elementary School (Aug. 26) as part of the Science of Baseball program that will be offered through the school’s after-school program…. Nick Perreault, a member of the Diamondbacks’ street marketing team, said the program focuses on showing students that they can use science in all areas of their lives, including sports.